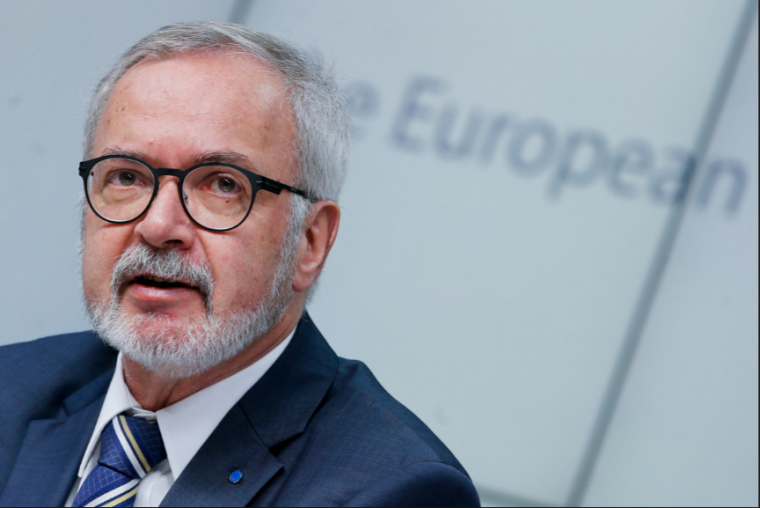 New Delhi, March 31 : Brexit and shift in American policy will make European Union strengthen its strategic relations with India and Asia, European Investment Bank (EIB) President Werner Hoyer said here on Friday. "Brexit is a terrible thing and hell of a mistake. But this is something to respect as British people have taken their decision. I believe the exit of the UK from EU will strengthen the resolve of the other 27 members to stick together and to further develop the union. We must get better and we will," Hoyer said while talking to IANS on the sideline of the inauguration of the EIB's office here. Union Finance Minister Arun Jaitley inaugurated the EIB regional office for South Asia. Later, the EIB President met Prime Minister Narendra Modi, who explained India's position on climate change and environmental sustainability. Talking to IANS about US President Donald Trump's recent policies like exit from the Pacific agreement, Hoyer said: "I don't understand it. We just have to see that at least for some time US will take a different course. That makes it even more necessary to strengthen the strategic partnership between the big power centres in Asia and India is number one (among them)." Hoyer, former German Deputy Foreign Minister, who's heading the EIB since 2012, said India's economic growth has been very impressive. "Seven per cent growth is something we do not know in Europe. On the other hand, India still has a long way to go. Nobody should be left behind and this is still a problem in India." He said the potential for cooperation between the EU and India had not been fully exploited yet, and added that EIB was concentrating on the same areas where the main focuse of India was, like urban development, renewable energy and climate change mitigation. "India is top notch when it comes to certain technologies and development where we can be very very good partners. So I believe India is a partner both in high technology and in the field of social inclusion," he added. Replying to a question whether EIB would be interested in lending to private industry, Hoyer said: "It must have a purpose. Our lending head room is limited, therefore we cannot do everything. If it fits into the strategic priorities of the bank, and the EU, then we are ready to extend (lending)." The European Investment Bank on Friday announced a euro 200 million (Rs 1,400 crore) long-term loan to State Bank of India to finance mega-solar projects in the country and a new euro 250 million instalment for construction of the Lucknow Metro, which is the second tranche of a total euro 450 million backing for the project.